Mount Kinabalu, 4,095.2m is the highest mountain in Malaysia. It is also the highest mountain in the whole of Borneo, and the region between the Himalayas and the snow mountains of New Guinea. The return trek takes 2 days from Park Headquarters. All types of trekkers from young children to people over 70 years old have climbed up to Low’s Peak. No particular skills or experience is required: the route is suitable for the average, reasonably fit person. The trek to summit will be opened from 1 Dec 2015. The trail from Mesilau Nature Resort will still be remained closed. 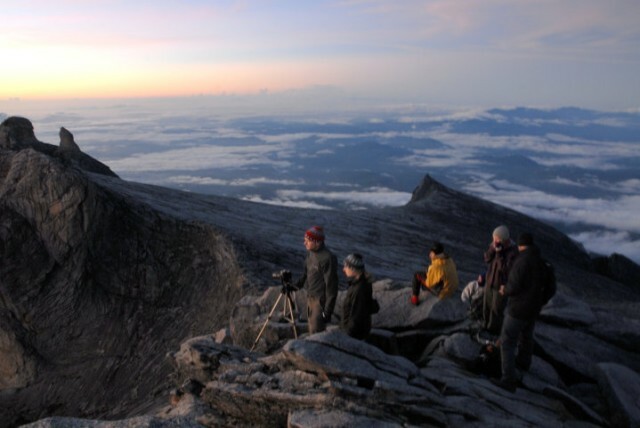 Experienced climbers and novice alike will begin the day’s ascent from Kinabalu Park to Laban Rata at approximately 3,272 meters above sea level. Laban Rata offers climbers hostel accommodation and a restaurant before resuming their climb to the peak the following early morning. Along the trail to the summit, climbers will be amazed with the incredible mountain backdrop of teeth and fangs, gulley, precipice, cliff, plateau, gorge, peak, projectile, points you name it, the mountain has it! Come face to face with the mighty mountain and feel the excitement and awesome acclimatize that you are indeed sitting on “top of the world”!